I post a lot about food and recipes. This is a post about where my food comes from. Why do I love Wegman’s? First of all, they have a great quality of food for sale. I never buy something there and then look more closely at home and realize it’s rotten. That happens with a lot of produce at other stores, believe it or not, especially when it comes to bagged salads. I’ve even noticed that the Wegman’s bagged salad is fresh a day or two AFTER its use-by date. Produce selection is one of the biggest draws for me to a store, and the fact that they have wide selection of fruits and vegetables and focus on food from local growers and farms is definitely a bonus. 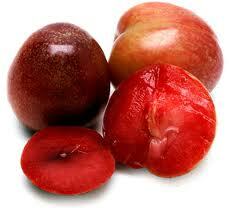 Last year, I tried a fruit I’d never even heard of before, and loved – a plumcot, a hybrid of a plum and an apricot. Another reason this store is great is that they have a really high-quality store brand. I prefer their store-brand version of most foods 10 to 1 over the brand name normally. Their Food You Can Feel Good About line is exceptional, and ranges from fresh pre-chopped veggies in the produce section to stocks, sauces, cereals and frozen food. Another Wegman’s owned brand they have that I like is the Italian Classics. I like the frozen lasagnas and frozen foods, but when it comes to the Italian Classics pastas, I find they are just more expensive than their store brand for seemingly the same product. My new favorite thing lately is the Diet Wedge peach soda. I love making my shopping list online. It’s easy to add the ingredients from Wegman’s recipes (my favorite being the Sesame Chicken Lo Mein). You print out your list and it has everything laid out in order of what aisle you need to go to and you can even print a store map if you don’t know where things are. That is really a helpful time-saver, because I don’t know how much time I’ve wasted running back and forth in a store where it’s not laid out well and I have no clue where anything is, and for some reason finding ranch dressing or Carnation Instant Breakfast is like finding the damn holy grail. My boyfriend and I are somewhat food snobs, and enjoy cooking new things and trying different foods. Wegman’s always has the ingredients I need, no matter how seemingly obscure it might be. The only time they are out of stock of things seems to be when we go shopping really late. The employees are always really helpful when asked if a certain thing is in stock – either they know outright that they are sadly out of dill, or they go look in the back to see if there is any more, sometimes returning with the item I need, or can tell me that though they are currently out of stock, it will be in on a certain date that week. I find that a lot more helpful than other stores where you can’t even find an employee working in the aisles. Having employees that obviously care about the quality of their work makes all the difference and this can be seen throughout the store from people stocking shelves, in the bakery, deli, meat counter and the cashiers. Especially, the cashier Katherine that I tweeted to @Wegmans for being super-awesome at bagging our groceries really efficiently in our reusable bags! In conclusion, Wegman’s is my store of choice, and my boyfriend is the one who made me a convert. I like all their basics, and love their extras and fancy stuff – Mediterranean bar, Prepared Foods to Go (their Make it or Take it you can either buy the prepared meal in the store, or you can get recipes from their website to make delicious foods like Baked Potato Salad), and I like their fancy cheeses. Just so you don’t think I’m some kind of paid spokesperson with this love letter to a grocery store, there are things that annoy me sometimes. I hate when they are out of things, even though it is normal and expected if I go shopping at 11 PM, it’s still a bummer. The hot food bar in the store I shop it isn’t as big as it is in other stores. My particular store also doesn’t sell booze, which is probably due to how hard it is to get a liquor license in NJ sometimes. The coffee bar at my store isn’t so great either when it comes to coffee drinks, honestly. Maybe it’s just personal preference after being spoiled by Starbucks for years, but I don’t like their coffee drinks. Everything else is aces 10 though. 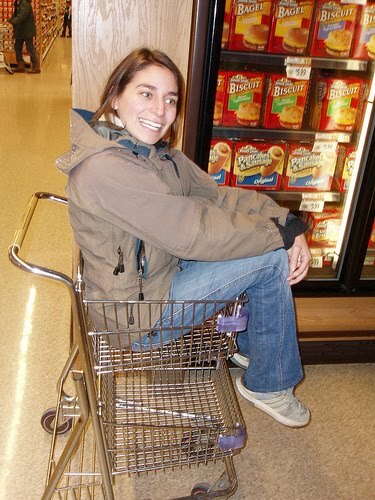 And the final stupid little thing that I love, the baby cart. This is not me, nor anyone I know, nor what I put in my baby-cart. P.S. – I also like that there is a Panera across the way to have lunch first. I looooove me some Panera.